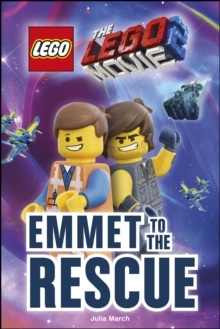 Join Emmet, Lucy, Batman and Unikitty from THE LEGO (R) MOVIE 2 (TM) on their new adventures in this exciting book for children learning to read. Packed with images of THE LEGO MOVIE 2 sets and minifigures, this book will get young fans hooked on reading. Exciting images, simple vocabulary, and a fun quiz will engage young readers and help them build confidence in reading. Combining DK's four-level reading scheme with the popular THE LEGO MOVIE 2 theme, THE LEGO MOVIE 2 Reader is at Level 1 and will help children learn to read-and to love reading. (c)2019 The LEGO Group.